Yellow Van Handyman is an owner-operator business. 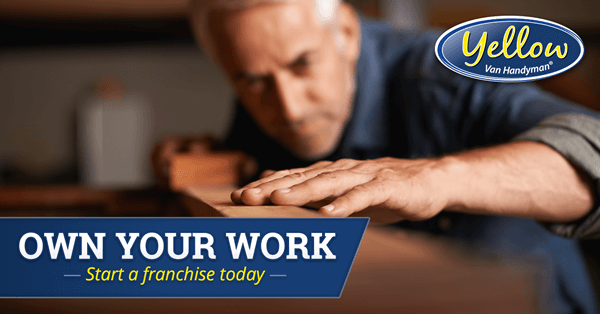 Each of our local handyman offices is part of a locally owned franchise. Because of the local nature of the owners and the service providers, you can count on great service from skilled technicians that are interested and accountable to building a long-term relationship with you. 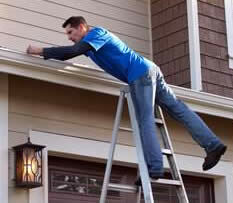 Yellow Van Handyman was started to fill the niche need for short-term, and, at times immediate service. Yellow Van Handyman is focused on smaller projects, which makes us very good at solving many annoying problems around the home and office. 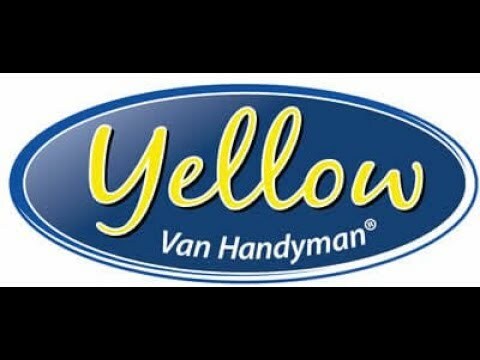 Why Choose Yellow Van Handyman? You’re tired of working for “the man." You’ve always been handy, but you have used your skills to work for somebody else. Making the amount of money they say you’re worth, working tough schedules, and getting stuck doing things the wrong way. Here’s your chance to control your own day, your future, make the money you want to make for your family, and build a business that you truly believe in. I can own my own business for how much? $8,000. Yep, that’s not a typo. You can start your own business, a Yellow Van Handyman franchise for only $8,000. In fact, we even have additional options including financing to help you get your business started the right way, quickly. We have Franchise Partners that work a standard full-time work week producing well over $100,000. While working when and how they want. If you’re motivated and passionate about great service and you get excited about fixing other people’s problems and seeing the joy on their faces when they know you’ve handled a service item for them, then Yellow Van Handyman is definitely the right place for you. They have great skills with not only their hands but the ability to access a situation and understand the best way to fix it, a true Handyman! If you sleep better at night knowing you got to fix something that day then you are the right person for Yellow Van Handyman!